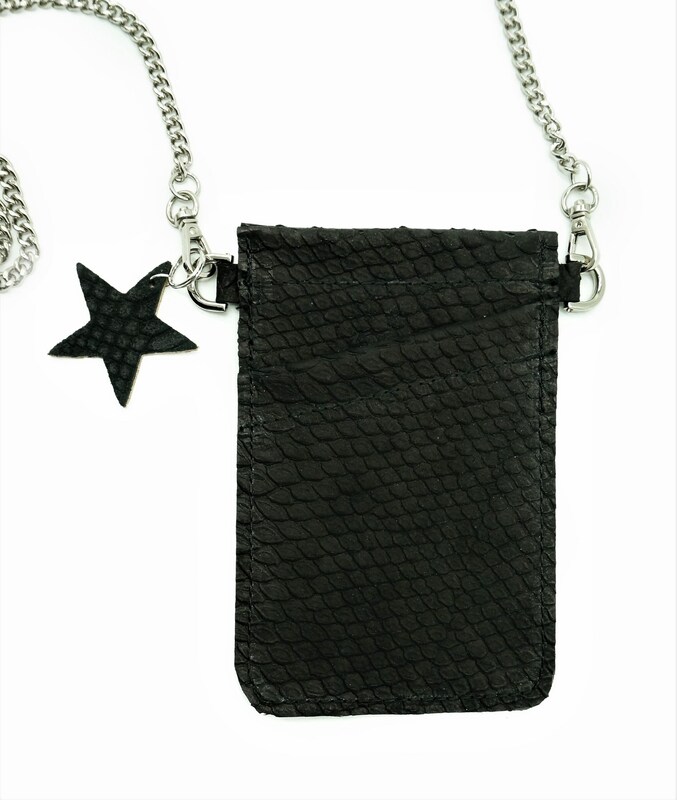 With this trendy small leather leather leather bag in black leather with reptile/snake embossing, you always have your phone with you-as a trendy piece of jewelry, like a mobile phone chain. 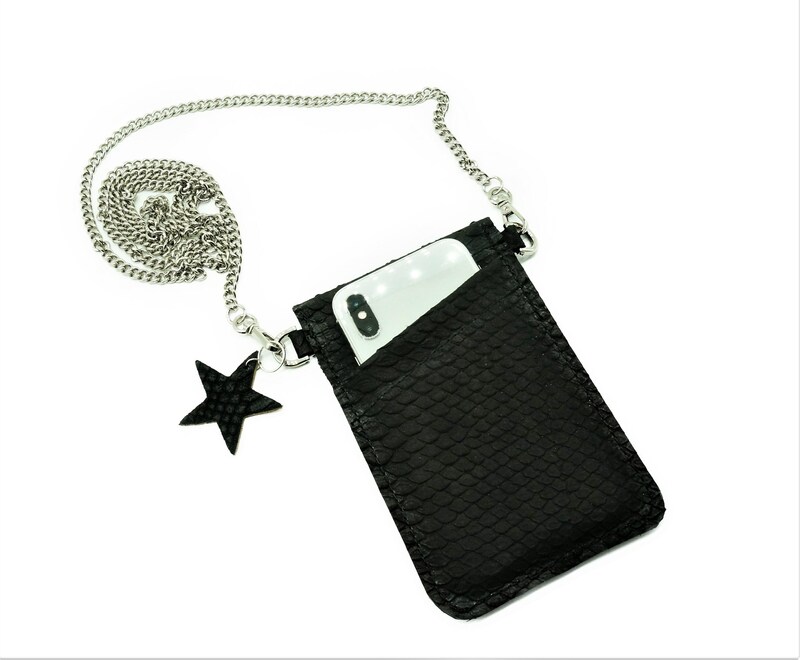 The crossbody mobile phone bag is made of real beef leather. It has an obliquely cut front pocket (e.g. 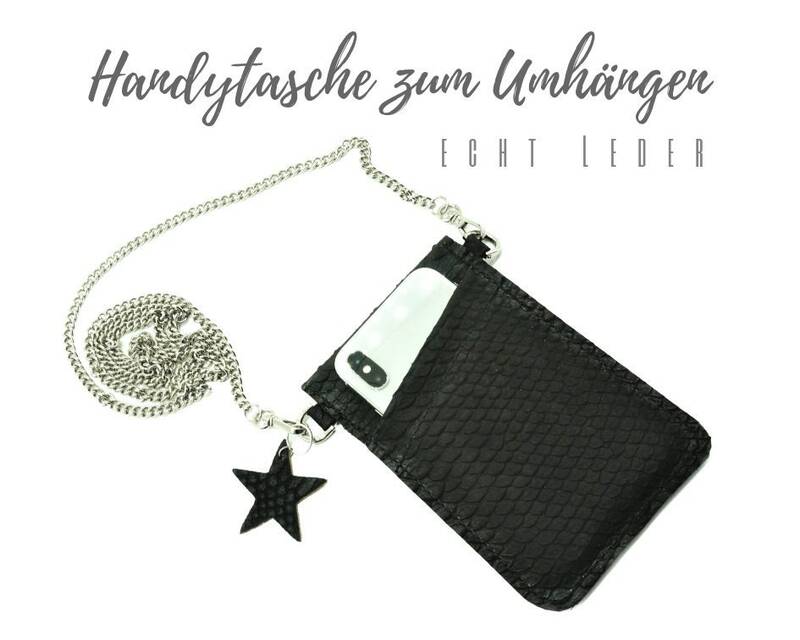 for earphones, banknote credit card, etc.) 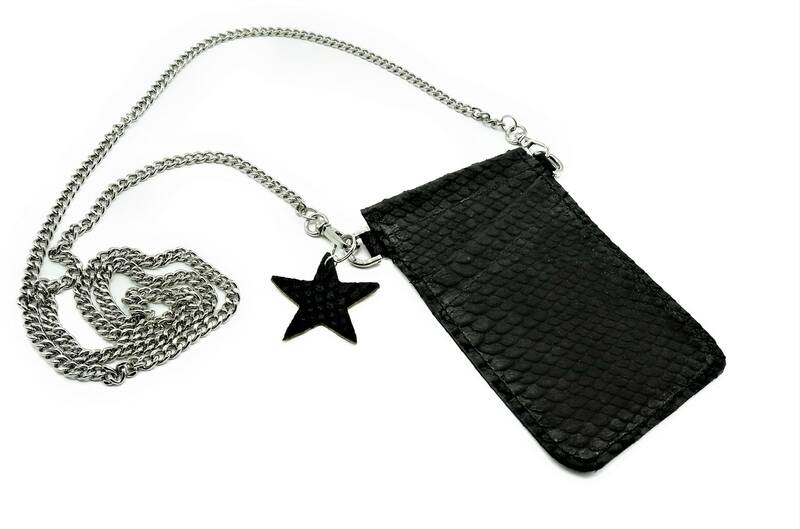 and hangs on a silver shiny chain that can be removed by small carabiners. 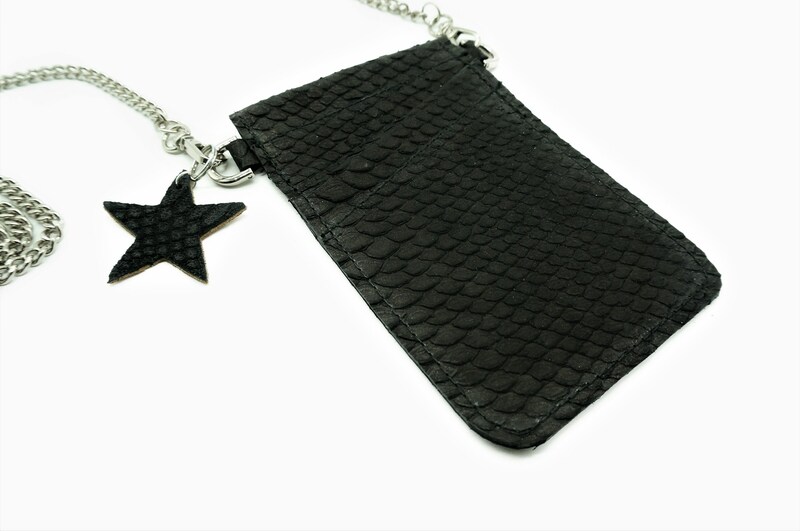 As an option, there is the black leather star as an extra design. Please select option when you buy. 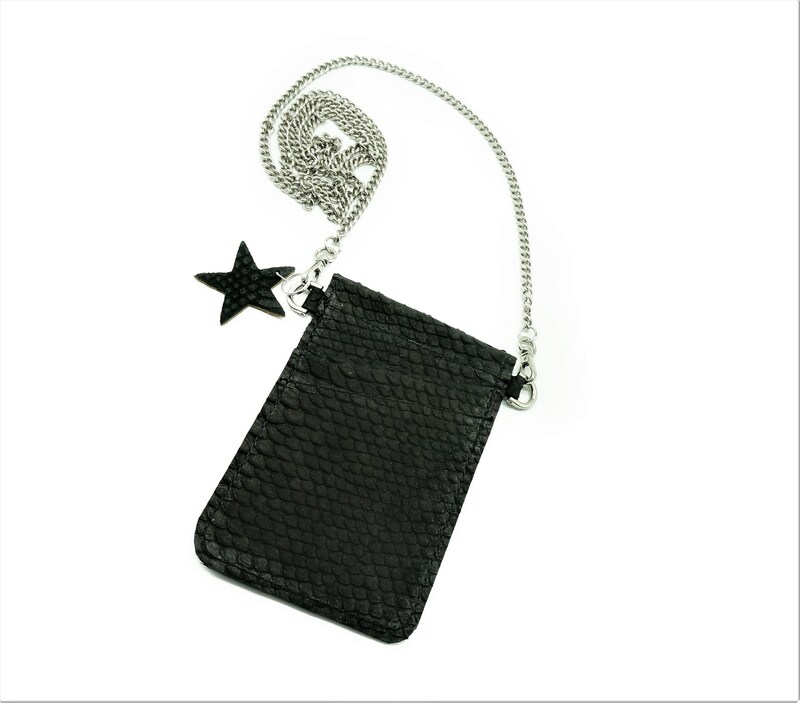 The star is easy to remove and can also be used as a trailer for a keychain. This bag-photographed here with an iPhone 10-has the format 10.5 x 15.5 cm. Clear! 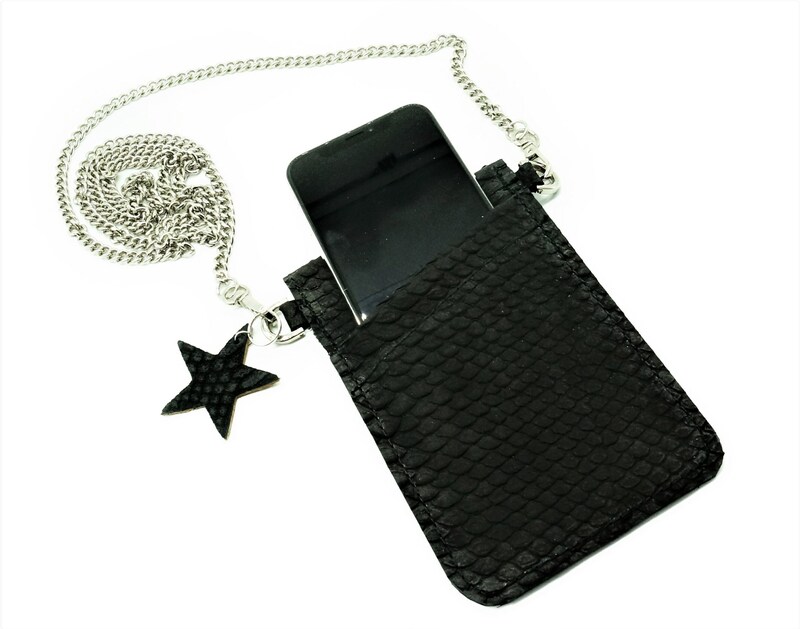 The iPhone shown here is of course not part of the product, it only serves the size relevance and is intended as an application example:-) This bag comes in different leather colours-see more models in the shop.